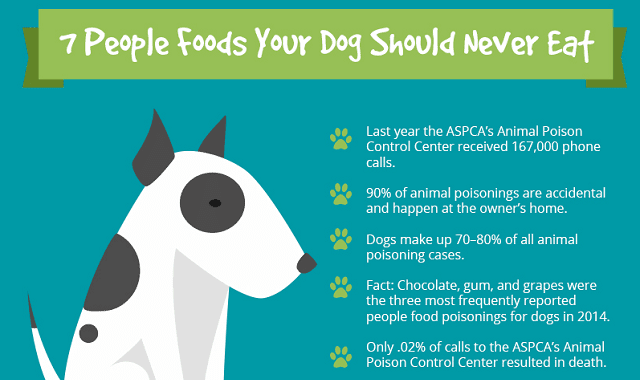 7 People Foods Your Dog Should Never Eat #infographic ~ Visualistan '+g+"
We all love our furry family members. And we’re willing to bet you love them so much that sometimes you give them just a small taste of the food off your plate. While it’s relatively harmless most of the time, some people foods can wreak havoc on a pup’s health.